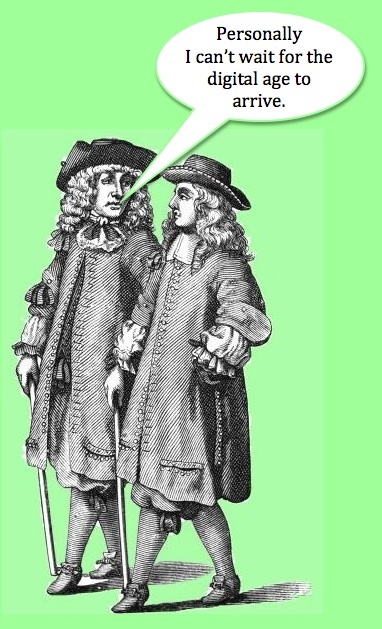 ... and there are a few points which can be misleading. 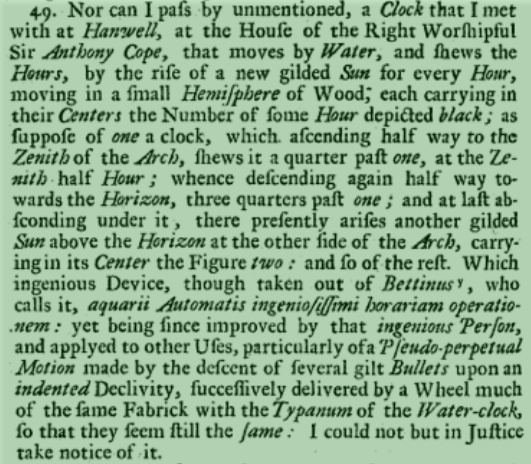 The mention of a clock that 'moves by water' suggests some mechanism, perhaps powered from a small water wheel, whilst the reported 'arch' with the gilded suns ascending and descending hints at a large structure, perhaps something that one could walk under. Off we go to search the gardens. The truth as revealed by an examination of the volume by Bettinus referred to above is a little more prosaic, think longcase clock. I took a look at the copy of Bettinus in the library of the Museum of the History of Science where the details of a proposed mechanism are described and drawn out in some detail. The reconstruction above is based on a sketch I took from this volume, the images below are copies from a later text by Baillie which reproduces the illustrations of the inner workings. 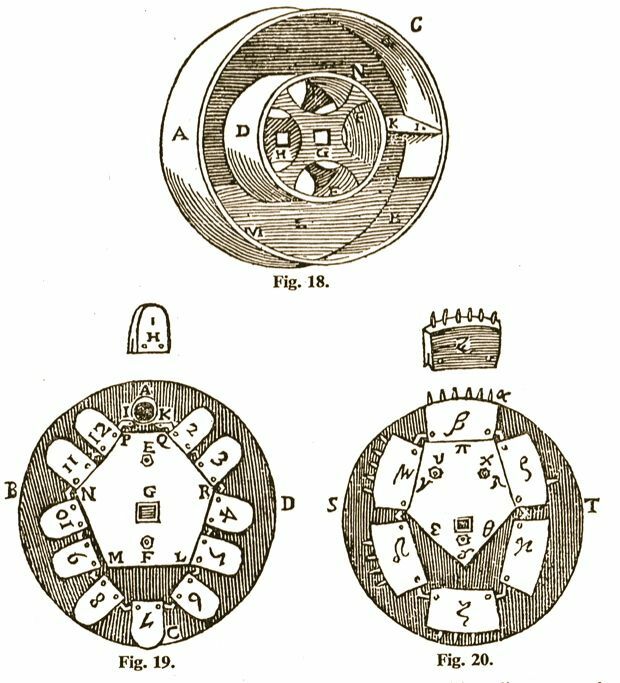 The motive power is supplied by weights (N, K) but the pace at which they fall and hence the time-keeping ability of the clock is regulated not by an escapement as in conventional clocks of the period but by a paddle (K) with a hole pierced through it (I). The weight causes the drum or tympanum (A) to rotate but the speed of that rotation is controlled by the rate at which the water (B) can move through the paddle. This is so arranged as to take a hour at the end of which the paddle breaks free of the water and the drum can rotate rapidly to operate the striking mechanism (S,T,V,X,Y) before resuming the timing of the next hour. 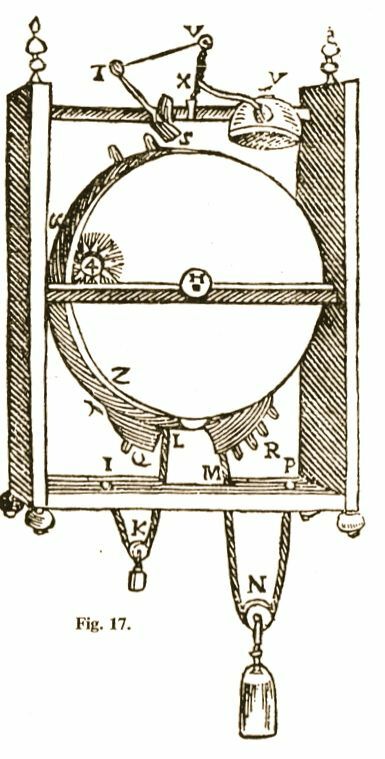 Other mechanisms attached to the drum display the hours in the moving sun ( Fig. 19) and control the striking (Fig. 20). Now Plot does suggest that Sir Anthony made some improvements to the clock but I think it is now clear that we are looking at a domestic piece rather than some grand feature in the landscape.